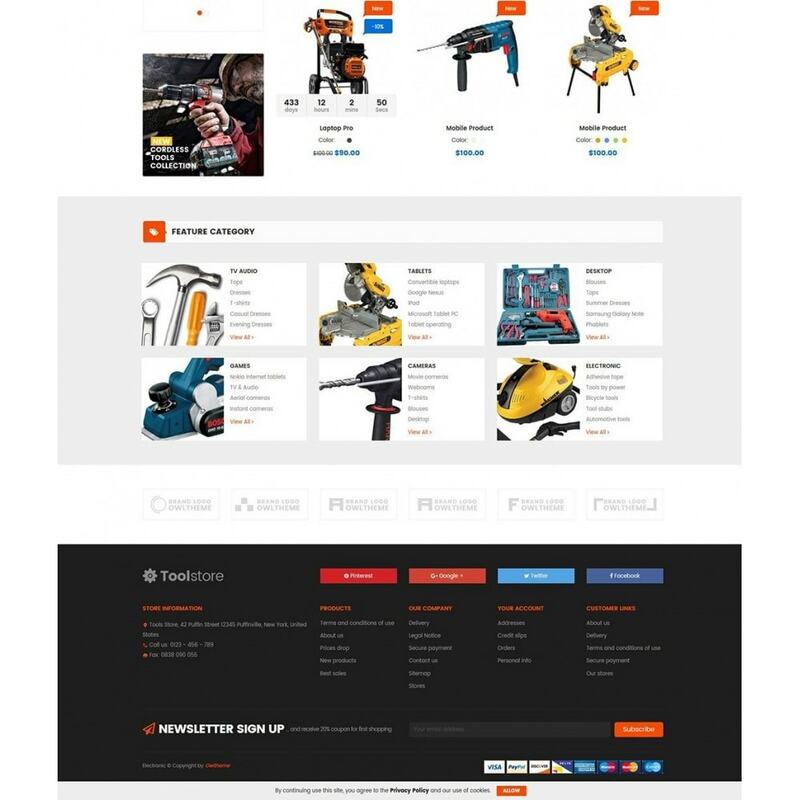 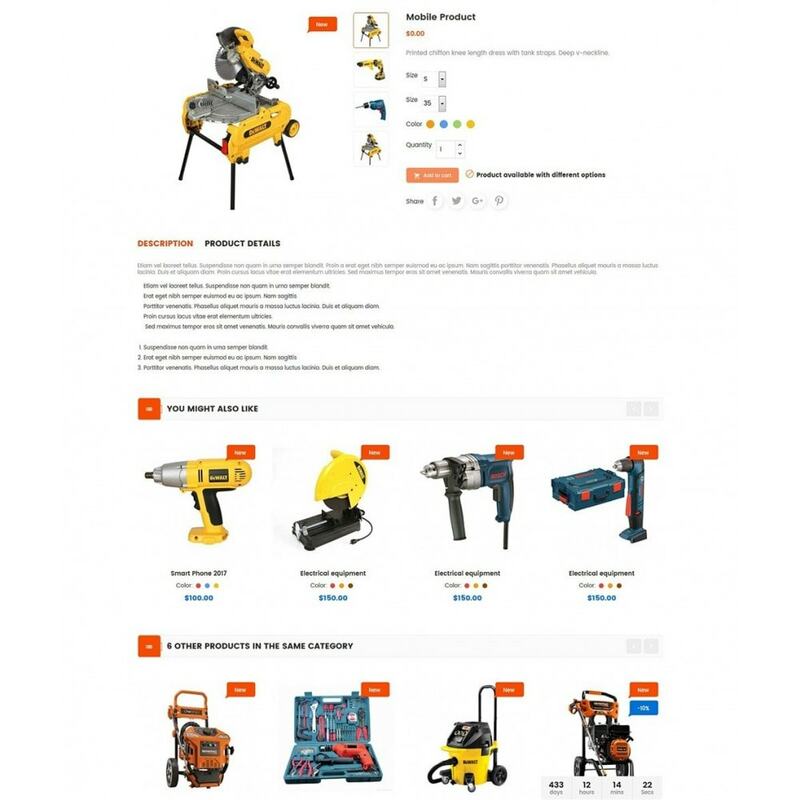 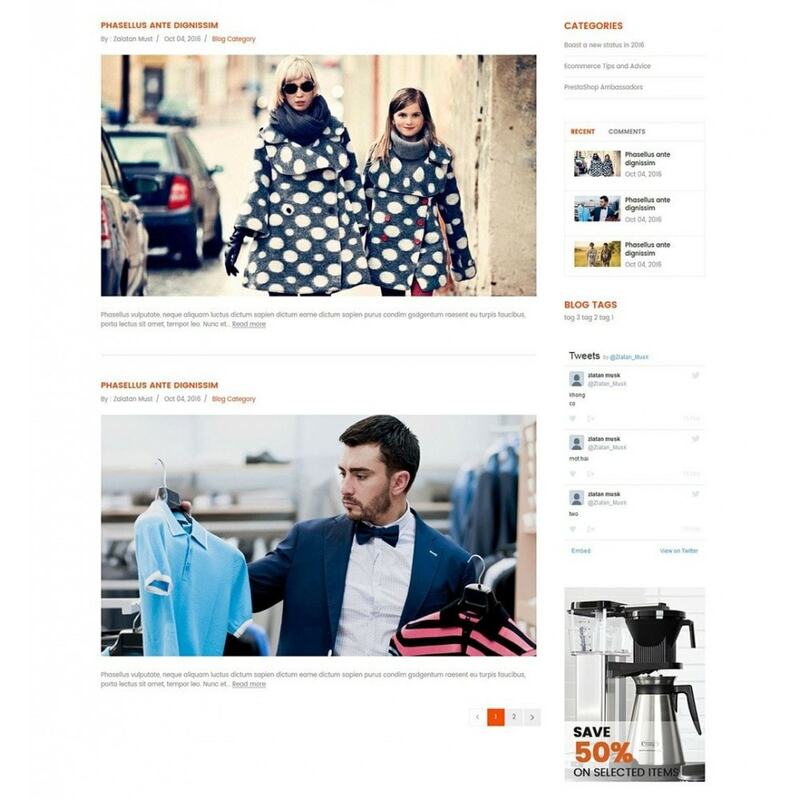 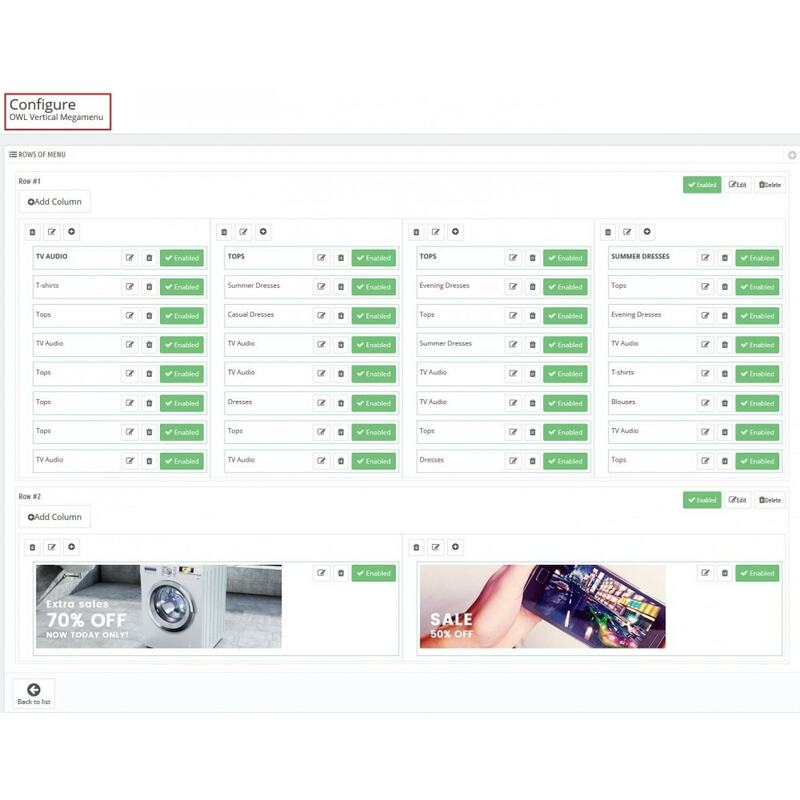 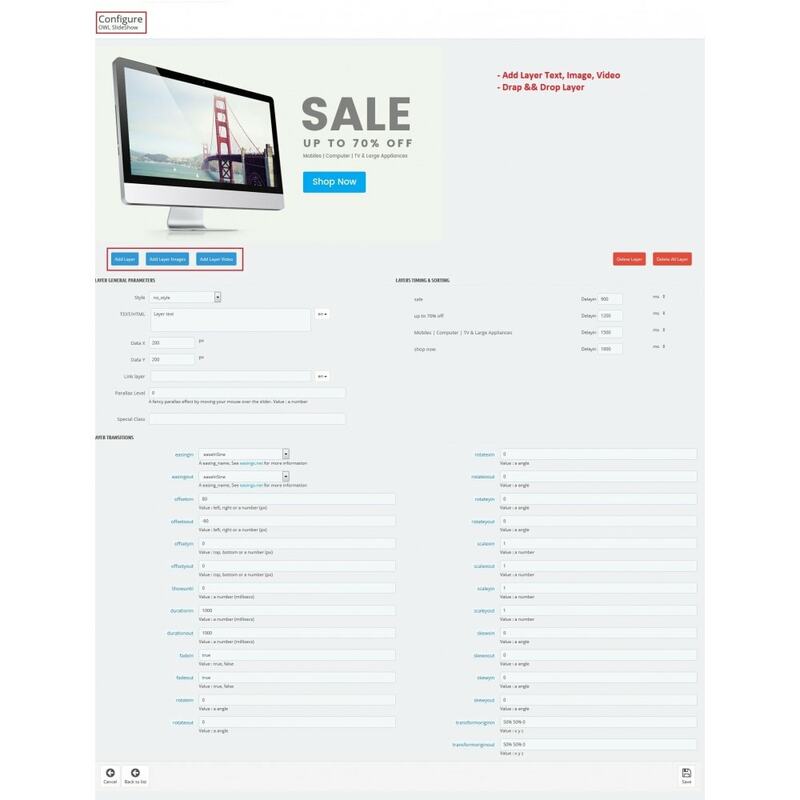 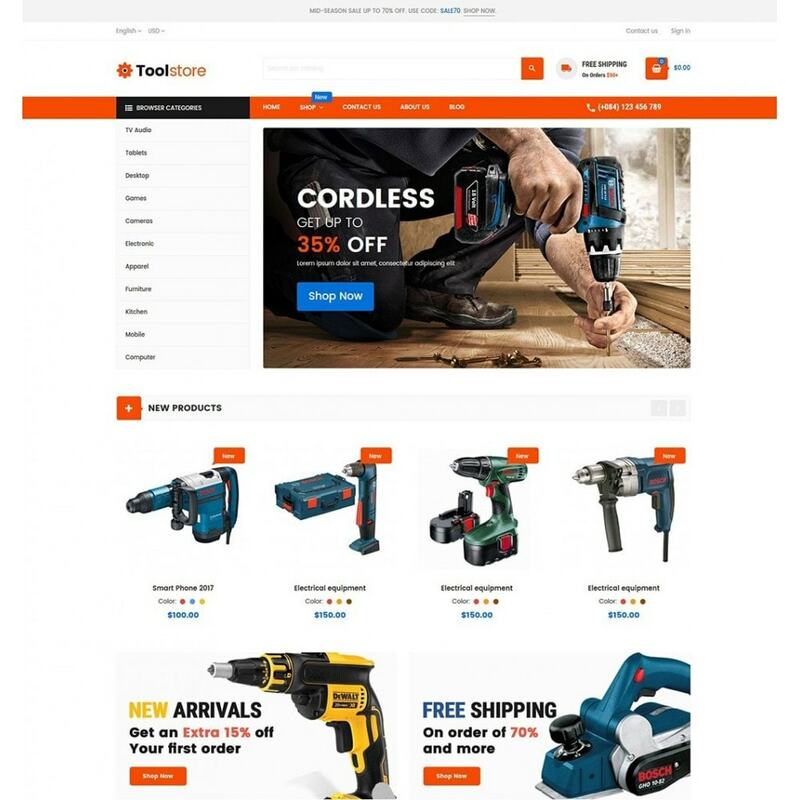 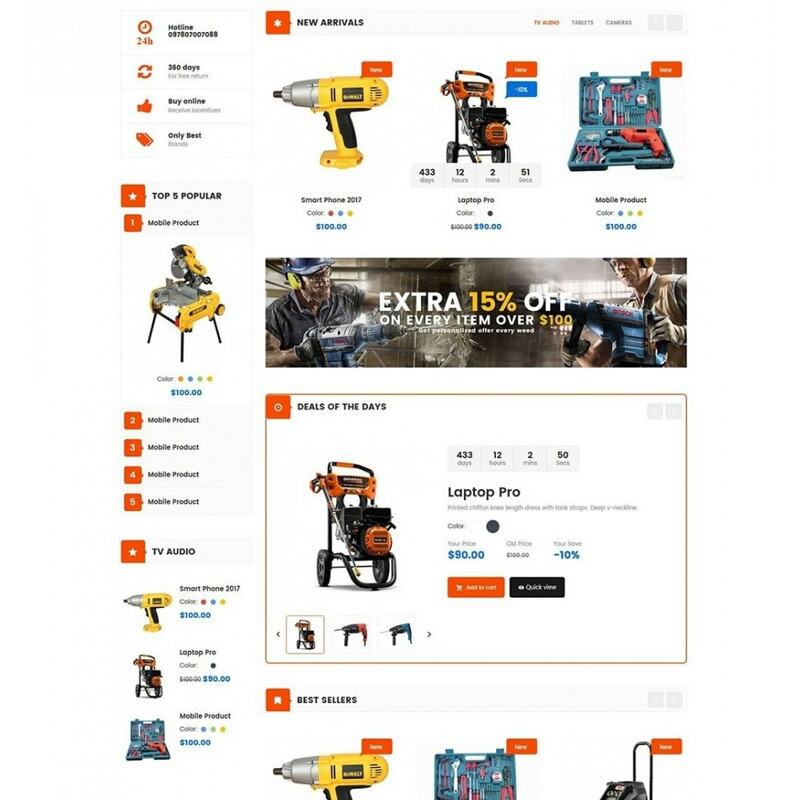 Tools Store Responsive Prestashop Theme is a clean and clear template. 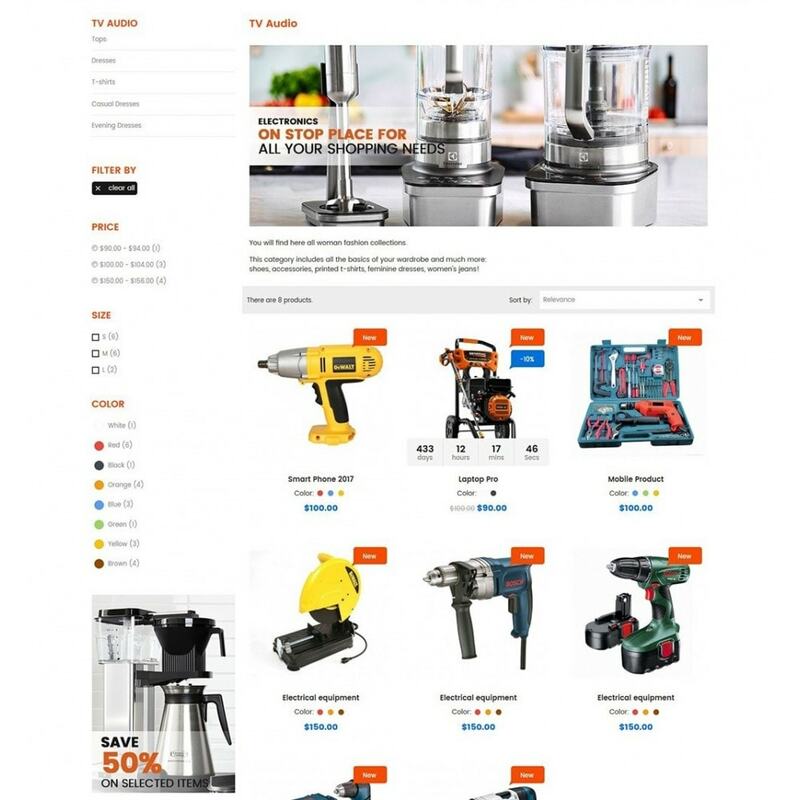 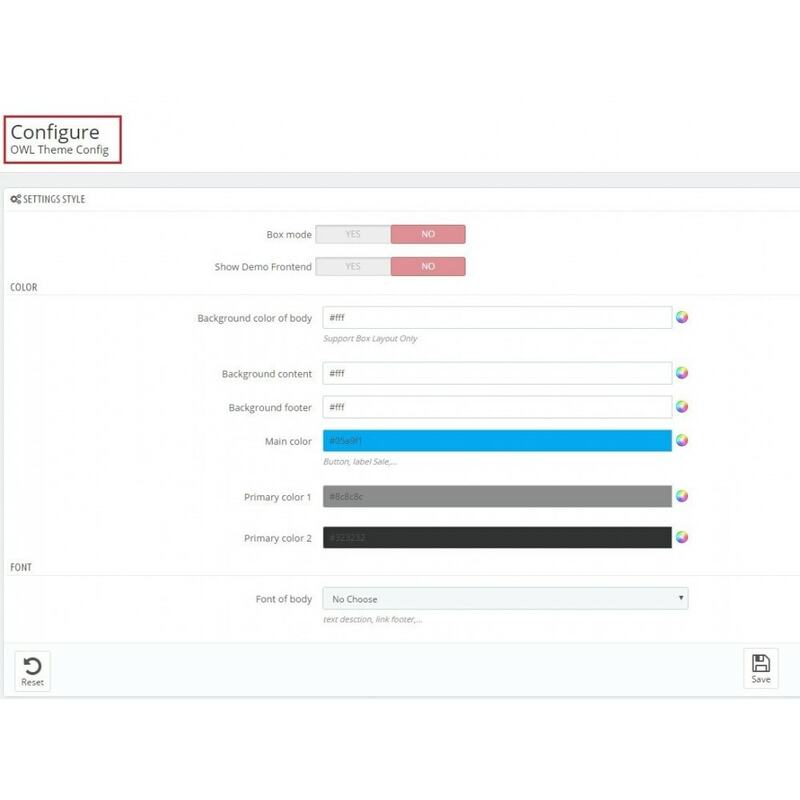 It has such impressive design plus built-in powerful function to make your store extremely perfect. 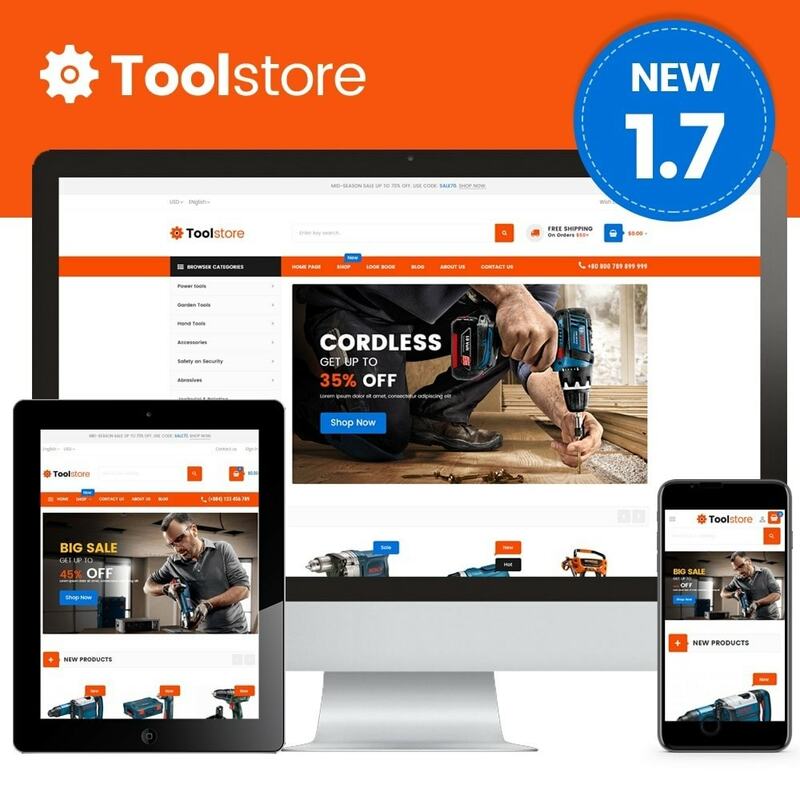 It runs on PrestaShop version 1.7.